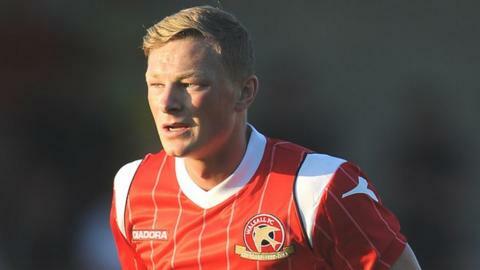 Walsall midfielder Sam Mantom is facing surgery on the knee injury that has kept him out for most of the season. The 22-year-old former West Bromwich Albion trainee is scheduled to see a surgeon on Friday and may need an exploratory operation on his long-standing mystery injury. Boss Dean Smith can cover Mantom's absence if he extends Michael Cain's loan until the end of the season. Talks are ongoing with 20-year-old Cain's parent club Leicester City. But Smith has other options if it does not come off and has other "irons in the fire" to strengthen his squad. Mantom, who was due to be made captain when Andy Butler left in the summer, is yet to lead Walsall out, having been limited to just four substitute appearances this season.